Ghost’s Papa Nihil and Sister Imperator will hold a very special Press Conference in NYC at Irving Plaza. This event is 100% free to attend so be sure to arrive early and wear your best themed cosplay. Would that make it “Ghostplay”? 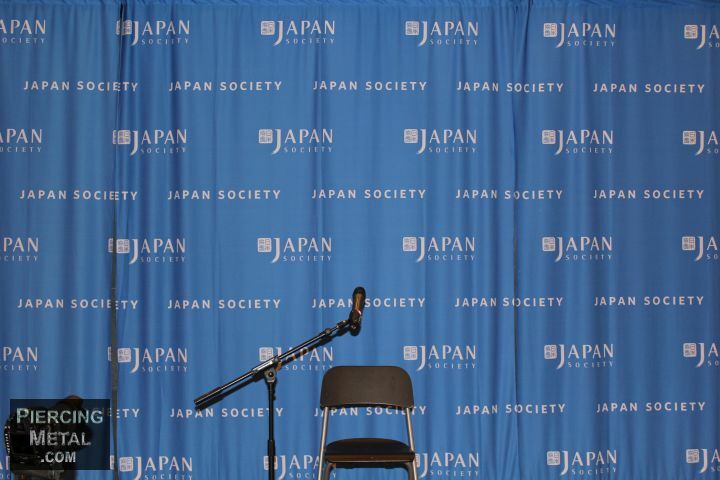 Yesterday afternoon I was honored to be one of the members of the media who were invited to the Japan Society for a Press Conference that was being held by Yoshiki Hayashi from the band X Japan (I should mention that he pretty much just goes by “Yoshiki” in the media world so I will refer to him as such as well going forward). 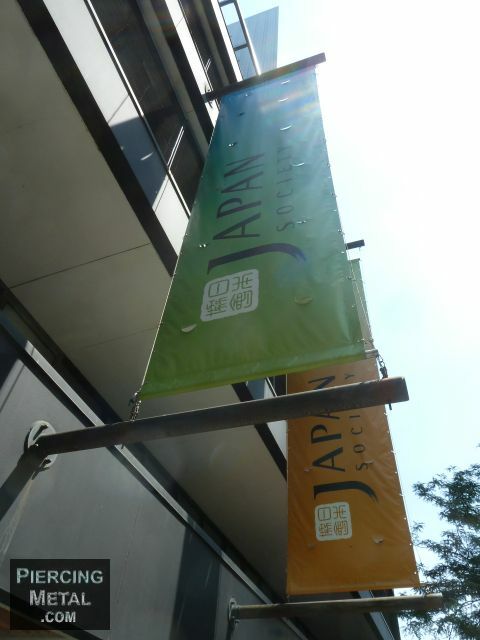 The Japan Society is a beautiful space located way down on East 47th Street and I’ll add their link at the bottom of this narrative so you can investigate them a little more if you are interested in Japanese Cultural things because they certainly have a lot of fascinating programs to offer the general public. Towards the rear of the lobby was a room that appeared to be aimed at Press Conferences and other similar meetings and it was nicely set up for us to hear what Yoshiki was going to say. According to the Press Release that I received for this happening, the musician would be lining out the bands details about their upcoming one night only performance at Madison Square Garden and his comic book collaboration with the great Stan Lee (master of all things Marvel Comics). Hey there readers so as you have just seen in the previous chapter, I am getting myself underway into the 2014 Edition of Toy Fair and now that I have shared with you the winners of the Toy Of The Year Award for this season, I am going to share some of the Opening Ceremony images with you in this chapter. 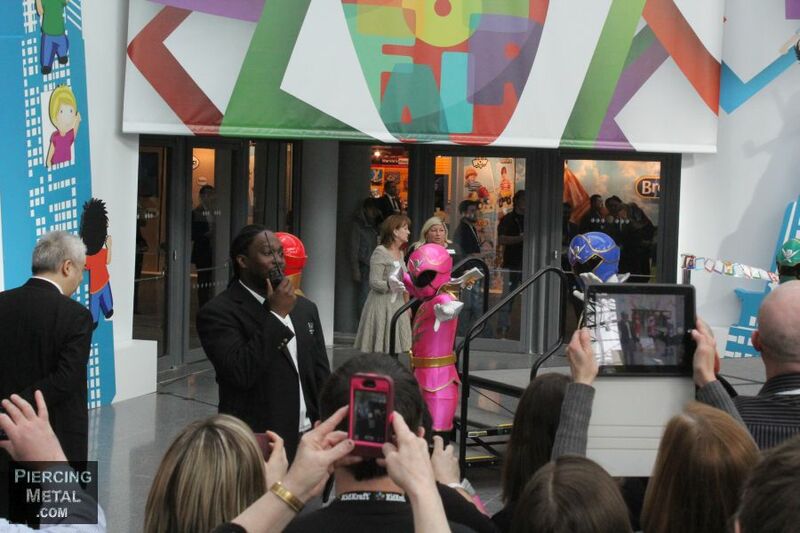 In the past I’ve arrived at the Toy Fair shortly after the opening ceremonies but this time around I wanted to see that and especially when they had announced that Pop superstar Alicia Keys was going to be cutting the ribbon. 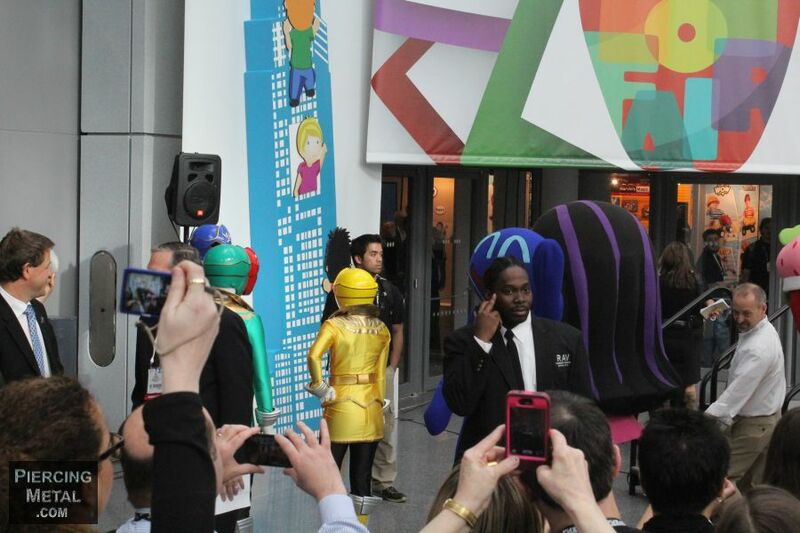 As you can see in the photographs below there are a number of costumed characters bopping around that just added to the excitement of the opening of this year’s Toy Fair. Check out these fun images.